This tab or index cutting machine made by Onglematic is ideal for making index dividers in house. The manual tab cutter comes as standard with 15 angle tab style. 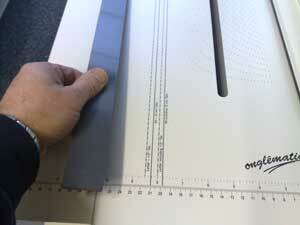 This model can cut 2-31 tabs on A4 size dividers and will cut through up to 15 sheets at a time. Equipped with electric guide positioning for accuracy and speed. This machine is able to cut up to 15 sheets 80gsm paper or the equivalent in card or polypropylene. Speed up to 180 sets of 9 tabs per hour. CO5 15 electric tab cutter now just £1150 whilst stocks last. ALL stock must go, save from original discount price. 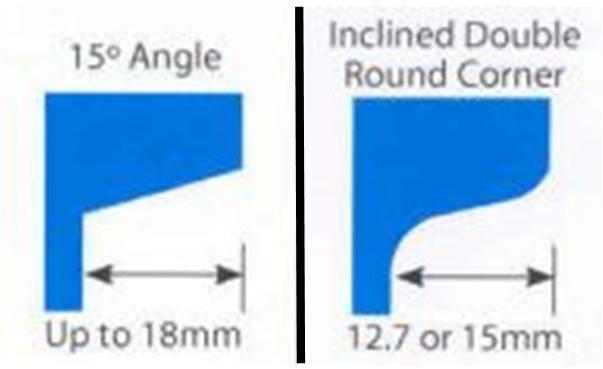 The two most popular tab styles is the standard 15 degree and the 12.7 double incline round corner. Both dies give you a professional finish and are available to purchase online, please select below from tab styles. Other styles of tab machine (tab styles are not interchangeable) are also available at an extra cost e.g 90 degree angle and round corner please contact 01908 563149. Manual cutting achieved by pressing on the handle. Paper format 210mm and 297mm. Magnetic lateral stop and mm rule. 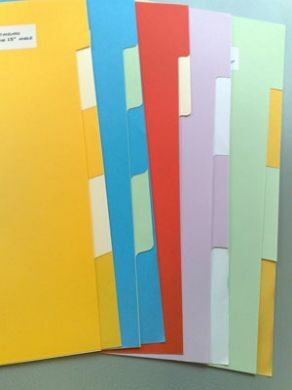 Can cut 180, 250, 500 gsm. Pre programmed positions for tabs. The positioning stop is automatically controlled. Variable tab depth up to 17mm (dependent on cutter shape chosen). Variety of tab shape machines available. 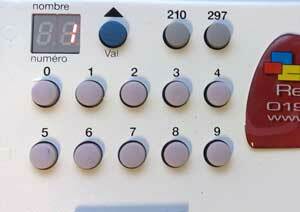 Simply select the number of tabs from 2 to 31 then after each cut press the Blue 'Val' button for the next position. The magnetic side-lay stop can be moved to set the sheet width. Standard tab samples above or island tabs are also possible sample below.